In Steilacoom, WA, when nature unleashes its fury in shape of storms, it leaves a major problem in its wake – fallen and broken trees. After such trees are removed, tree stumps usually remain in the ground. These are an eyesore and a safety hazard on the Steilacoom yards and gardens. So, the property owners feel the need for professional stump removal services. 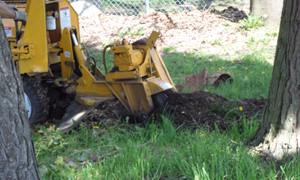 We offer specialized stump grinding services to ensure proper stump removal. This is done with a stump grinding machine that grinds the stumps and their roots into mulch. 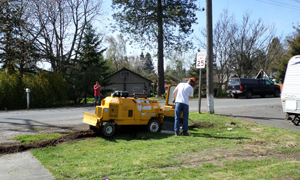 Moreover, our stump grinding and tree service business is fully insured for the protection and peace of mind of our Steilacoom customers. 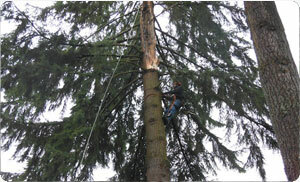 Tree removal is complex work that Steilacoom homeowners should leave to certified arborists like us. We have highly qualified professionals who understand the intricacies of stump and tree removal. They can be depended on for completing tree removal without endangering the safety of any property or human life. all Hunter’s Tree Service at (253) 245-3939 for expert stump removal, stump grinding and tree removal services.